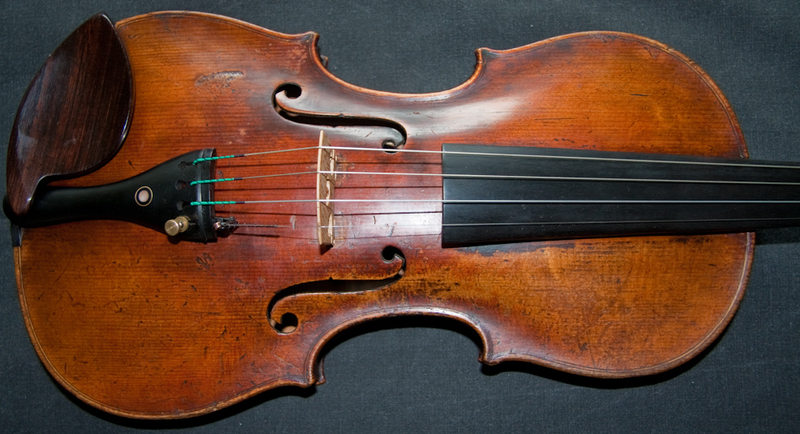 An exceptional violin lab Florinus Guidantus 1730. It is in wonderful condition, with a very nice patina and no cracks. 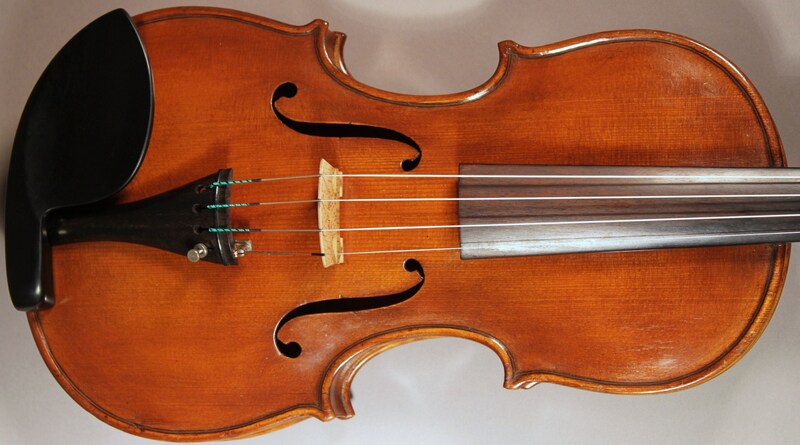 SKU: 00042 Categories: Sold Violins, Violins, 18th Century. 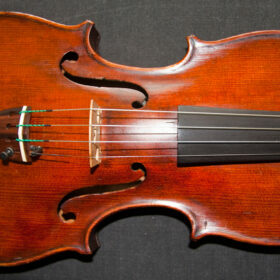 Tags: 18th Century, antique violin, italian, violin. 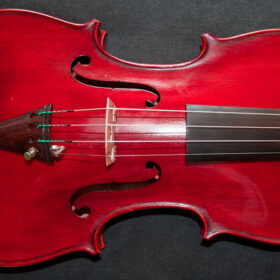 It is a rare find these days to come across a small pattern violin like this, the first I have been able to obtain in 5 years, and it is in such beautiful condition too. 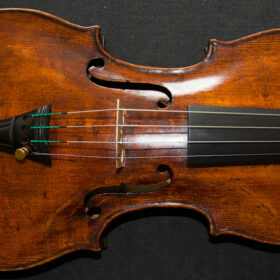 Such instruments were very popular amongst the classic makers of the late 17th and early 18th century – the majority of Guarneri del Gesu’s violins were 350mm or less, whilst (apart from the 10 years when he was using the long pattern) many of Stradivari’s violins were 350mm or just under 352mm. It was not until the early 20th century that the larger sizes became more popular in the belief that a bigger instrument would give more sound. 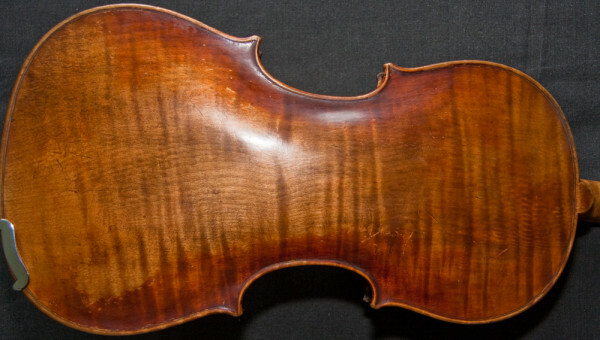 However, these smaller masterfully made violins so often out perform their later larger cousins in every respect including the size of the sound. Although this size of instrument is often termed a ladies violin, due to the suitability for smaller sized hands, greats like Jascha Heifetz played the 350mm size Dolphin Stradivarius of 1714. 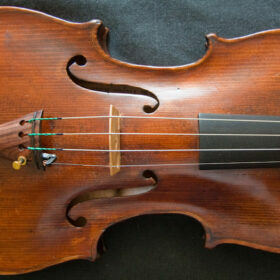 This violin has a wonderful sound; huge, old, mellow, very sonorous and sweet.